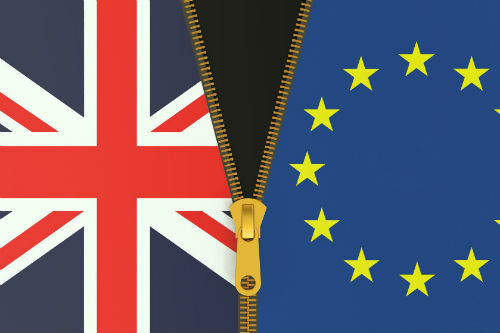 The United Kingdom (UK) voted to leave the European Union (EU) in the June 23 referendum. Before the referendum many people thought of the UK leaving the EU was unlikely to occur but the result showed the opposite. The referendum result brought massive shocks to the world along with pound sterling slump, sharp drop of stock prices and many other effects. After two months, though financial markets and stock markets are now getting back their stability and no major economic crisis has happened yet, “Brexit” is still a hot potato. Britain exiting the Union, also known as “Brexit”, is a combination of words ‘Britain’ and ‘Exit’ meaning the act of the UK leaving the EU. The EU is an economic and political partnership among 28 European countries so it works as a single market. The economic integration within the EU has merits and demerits. The biggest merits would be low or no tariffs amongst the members so it is easy to trade commodities or labor. However, the EU members should pay for their membership fees and it seems not fair for the relatively wealthy members like Germany, France and the UK. According to Fun Fact, the UK paid £13 bn, about 2 trillion won in Korean currency to the Union in 2015 but received far less worth than what they spent. Allowing people from other EU countries free movement is also one of demerits for the UK since there has been a huge increase of people from eastern and southern Europe to work and live in the country resulting in a lack of jobs for its own citizens. Apart from economic change, some social changes have also appeared. David Cameron resigned on the morning after the referendum and Theresa May was assigned to Prime Minister of the UK. Among citizens, remorse appeared after the polls, so called “Regrexit” and the movement to revote boosted but Theresa May, the new Prime Minister assured citizens that Britain will leave the union by saying “Brexit means Brexit”. However, the UK still has a long way to go and no one knows how long it will take. To leave the EU, the UK must trigger ‘Article 50 of the Lisbon Treaty’ signed by European leaders in 2009. It is a processes of legal exit of the union and has a five element plan that applies to any country who wishes to leave the EU. However, Article 50 has not yet been used so the process of it is unclear. Also, under the EU’s law, the UK should undergo a two year period of exit negotiations but the treaty will not be triggered soon. Meanwhile, the EU is not reaching to the UK for the exit negotiation because they need to stay firm towards nations who would like to fall out of its union. Once Britain gains economic and administrative benefits while it rejects the responsibilities of immigrants flowing into the country, other European nations might take the same steps as the UK, resulting in the weakening unity of the group. Therefore, the UK experiencing difficulties in negotiation is easily expected since Britain might have to accept some of disadvantages. Therefore, delivering the exit with as little damage as possible would be the major challenge for the UK. Nothing is certain so far since no administrative steps have been taken by the British and the international market is still keeping an eye on the country. Leaders of Europe should be considerate and yield together, making deals better for everyone since any decision made between the UK and the EU might offer the chance to reconsider the borders within Europe to a larger and more flexible form of integration.